i recently re-installed my smog pump and i forget how the belt went and what the belt ### is?!?! 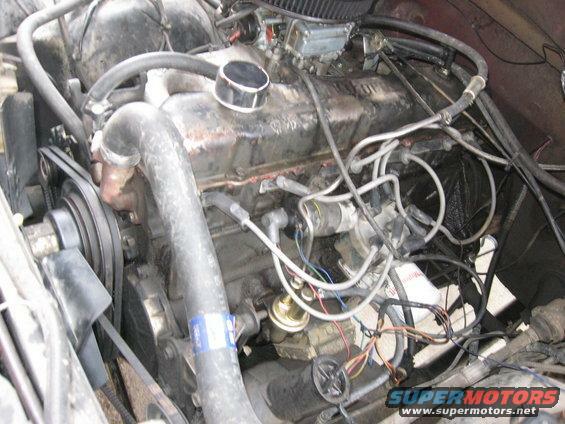 i have to belts on my altenator and one belt driving my power steering... is the smog pump suppose to have one belt from the alternator moving it instead of two belts on the alternator....any pictures are great and if a number for the belt for the smog pump is availbale i appreciate it thanks! 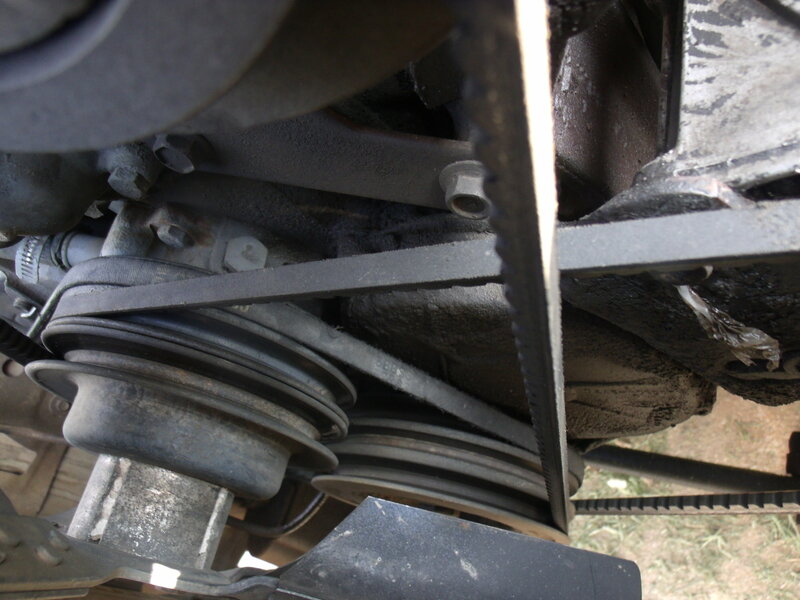 There should be one belt from the alternator to the main flywheel (that has the cooling fan on it). There should also be one small belt from the alternator to the smog pump. So the smog pump is driven by a single belt that it shares only with the alternator. And here is a picture of the correct belt routing. 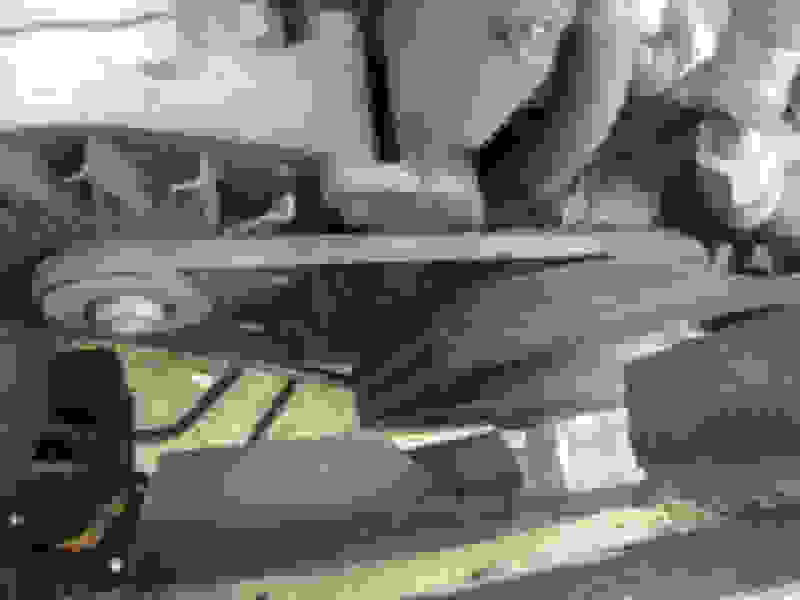 EDIT: If your truck has factory AC, airpump, alternator, and power steering. Last edited by Galendor; 03-21-2012 at 09:52 PM. Reason: To improve correctness of the post. That's an interesting setup Galendor. Are you sure you have it routed correctly? My '81's quite a bit different. Granted, I don't have AC. From everything I've read, the two grooves on the alternator are because a single belt can slip when the alternator's really under load and requires more effort to turn, so they put a second belt on it. It's supposed to have two belts running from the alternator to the crank pulley. The same two belts also go up and over the fan. A third belt then goes from the crank pulley to the power steering pump. Lastly, I don't have it installed, but you can see the groove for it. A smaller belt goes on the front of the fan pulley and over to the smog pump. Just found a pic of my '84's setup with the smog installed. It's set up exactly like my '81. I checked my '86 Ford Shop Manual (Engine) and it has a nice diagram showing how the belts are supposed to be set up in your configuration versus mine. 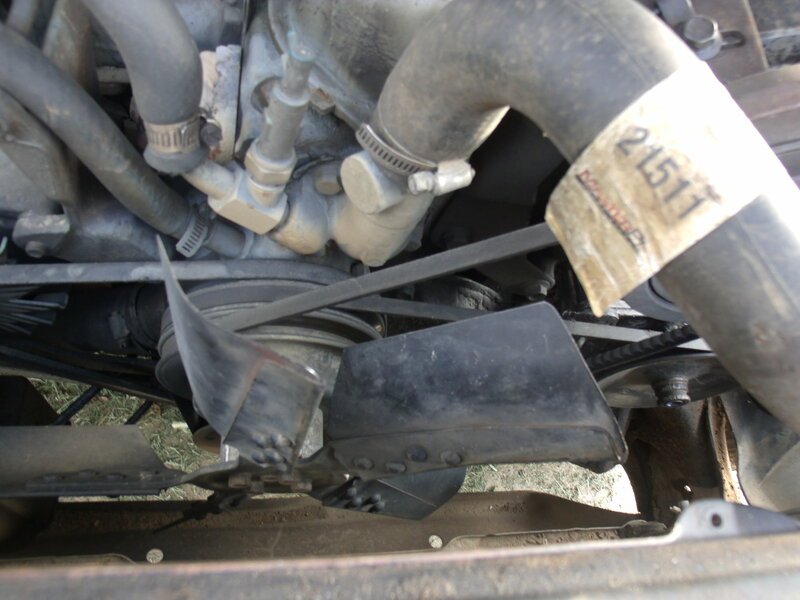 Your belts are set up correctly for a truck lacking AC, and my belts are set up correctly for a truck with factory AC. Your truck has 3 belt driven accessories: alternator, airpump, power steering. Mine has those 3 plus AC. Since there are only 3 belt channels on the crank pulley, I have to give something up somewhere to run AC and thus cannot run the alternator with 2 driving belts from the crank pulley. But thanks for making me look, I learned something! I did too! I had no idea the AC version was so vastly different. That's quite a configuration. Loosen the AC compressor and pull the belt. 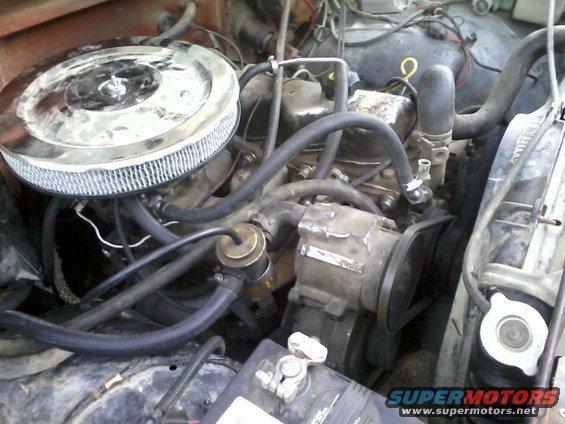 Loosen the power steering pump and pull the belt. Loosen the ALT and pull the belt. Going back together go from the bottom up. FWIW, lawnmower (fractional hp / implement) belts have a different wedge angle than automotive belts and won't last very long. Belts for 300 I-6? What year do I have? Quick Reply: belt routing help!